Product descriptions are content that explain the features and characteristics of products. In general, product descriptions are used on online retail sites and serve to inform potential customers and to encourage them to purchase. The e-commerce industry has become unimaginably large in recent years. Countless online shops conduct their business on the Web and sell products of all kinds. Online shopping offers many advantages for both buyers and sellers but may be lacking in certain areas, such as direct contact with the product or a good consultation. To advise the client and to bring them closer to purchasing, shop owners are largely dependent on informative and useful product descriptions. Product descriptions are informative content that shows the characteristics of a product to the reader. Depending on the target group, the site should be designed appropriately to reach the potential customers and convince them of the product. A product description to potential customers is usually complete, informative and concise. At the same time, it inspires them emotionally and provides the benefits of the product. Depending on the type of customer targeted, the website can be a fun or a factually-neutral representation of the product. The ultimate goal with the product description is to encourage the customer not only to buy but also to strengthen their confidence in the brand. The text should try to do the job of a salesperson in a business: The customer should leave the shop, ideally, with a good feeling and a new product. However, product descriptions are not only intended to provide the customer with accurate information, they should also serve as a home page for the shop on Google, Facebook, Twitter and related social media. A good product description is always an appropriate landing page and thus should be reader friendly and search engine optimized. This means that properly designed headers, titles, meta descriptions, URLs or images are required. Target group: The shop and the individual product target groups have a decisive influence on the text design of a product description. Not every target group can be triggered with the same style and the same content. A good target group and product analysis is, therefore, a top priority for every shop owner. Who are the buyers of the product? What about the product requires explanation? What exactly is the target audience? How can I arouse their emotions? What additional information I can provide the target group? SEO / Unique Content: The SEO of a product description can be essential for survival in highly competitive e-commerce. Shop owners should carefully choose the right keywords – remember to have good onpage optimization with unique content using long and short tail keywords. Because Google punishes fully copied manufacturer text, using stock descriptions will be negative not only to search engines but also offers the customer no added value. Length and design: The length and design of the text are highly dependent on the target audience and the product itself. The description should be short and concise to quickly give customers all the important information about the product. Just as often, however, the reader needs much more useful content to be provided. Especially with more expensive products, buyers prefer to look into every little detail than buy where they get short and heartless listed information. The use of images, videos, reviews and tests can vary from product to product. Useful additional information can be placed (in your own blog if necessary) and well linked. Almost always, however, readers should be emotionally addressed and engaged in one form or another in the text. Statutory requirements: In addition to problems with Google and bored readers is the problem with copyrights and duplicate content. If images, text or other content of the product description from other vendors are taken, it should not be used without consent. Meaningful headline: The headline should show at a glance the key features of the product. Introduction: The beginning of the text leads the customers towards the product. Depending on the item and store, the introduction can be extensive, entertaining and/or emotional. Also, shop owners can decide whether the product description is to start directly with a vivid, informative description of the product or whether, for example, the first benefit of the article should be illustrated. Logs: keeping lists is an excellent way to quickly give an overview of the product and its benefits. Possible uses could be listing all the important technical details or the biggest benefits of the item. Product data sheet: A document in which the full product details are listed can be useful. Frequently, one finds such product data sheets in the form of PDFs. They offer shop owners the opportunity to map a large amount of detail in an article where the text of a normal product description would seem crowded and cluttered. Photos and videos: Photos and images of a product are required. They make a product not only much more tangible but can provide excellent emotions. Videos are considerably more expensive to produce, as a rule, but may be worth it especially for products with a high need for explanation and lifestyle products. Cross-linking: If there is a way to do this, it should integrate similar products and accessories in the description. Shop partner links: This not only increases the chance of conversion but can also strengthen customer loyalty if the user is guided by a helpful and well designed web shop. This also includes links to “the products that other customers have bought”. If necessary, link to the manufacturer: A link to the manufacturer can increase the confidence in the shop. But beware that any links to an external site also increases the risk of losing the visitors on your page. Reviews and tests: Quoting excerpts or full reviews and tests can be a good way to highlight the benefits of a product. The appropriate assessments or tests by renowned critics also increase confidence in the article. Also, trust seals can help to make the quality of a product more believable. Social media links: Install buttons to Like, Share and Tweet are a great way to attract new customers and/or generate a higher conversion. Price and delivery details: Prices and delivery details should be available in a prominent place and be transparent and understandable for the client. The delivery details are as much about the cost as well as the availability and estimated delivery time. Tips for use: Text, images, graphics and videos that show the customer possible uses and characteristics may also be worthwhile. Through such details, Web stores can specifically differentiate from the competition by offering the user a real value. However, it can be very time-consuming and/or expensive to create such content. Call-to-action: A final call to action such as “buy now” can increase the conversion. In many online stores, such a call has been already integrated (in the buttons). If not, they can be a useful addition to each product description. Good product descriptions are one of the most important elements of any online store. You should present the best content possible, bring out the emotions of the customer and encourage them to purchase. In addition, a product description is always the text of a landing page and should, therefore, be designed for Google and other search engines. When creating it, do not only pay attention to the target group of shoppers, the length and design of the text and legal requirements but also optimize using keywords. 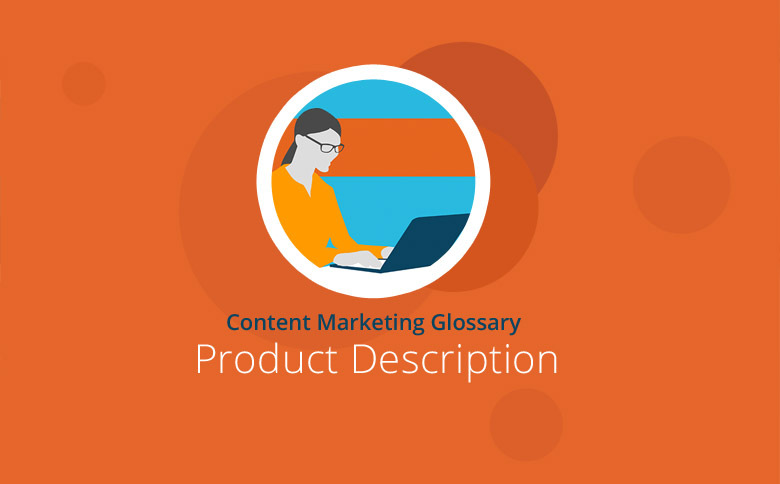 The content of a product description can be very diverse but should always be matched to product, store and target group.